Twitter has surprised investors by posting its first-ever quarterly profit, just a year after reporting a massive loss, but still faces challenges such as stagnant user numbers and the use of its platform for abuse. The social media platform reported fourth-quarter net income of $91.1m (£64.97m), marking a comeback from the $167.1m loss reported the previous year. Revenue rose 2% year-on-year to $731.6m, the first increase since the fourth quarter of 2016. The social media platform said the fourth quarter revenue growth was “driven by continued strong engagement growth, improved revenue features, improved ROI (return on investment), and better sales execution”. Shares soared by 26% in pre-market trading in the US on Thursday. The results beat Wall Street’s cautious expectations but they don’t solve some of the company’s problems – the use of its platform for abuse, fake accounts and Russian bots. One of its other main problems is that user numbers are largely stagnant. Twitter reported 330 million monthly active users for the quarter, a 4% increase from a year earlier but flat compared to the third quarter. Even the attention brought to the micro-blogging site by US President Donald Trump broadcasting his thoughts was not enough to stem the exodus of US users. That number was 68 million in the fourth quarter, down from 69 million the previous quarter. In a letter to shareholders, Twitter said that future revenue priorities include improving core ad offerings through better performance and measurement, including ad platform improvements, self serve measurement studies and third-party accreditation. It said that value for advertisers had “continued to improve and was driven by ongoing engagement growth, improved products, better ad relevance and better pricing”. Overall ad engagements increased by 75%. Yuval Ben-Itzhak, CEO, Socialbakers said that with new innovations such as the release of 280 characters, threads, and live content features, Twitter’s new strategies are successfully regaining the valuable commitment of marketers. Ultimately, this should help continue to differentiate the platform, drive user engagement and increase the user base. 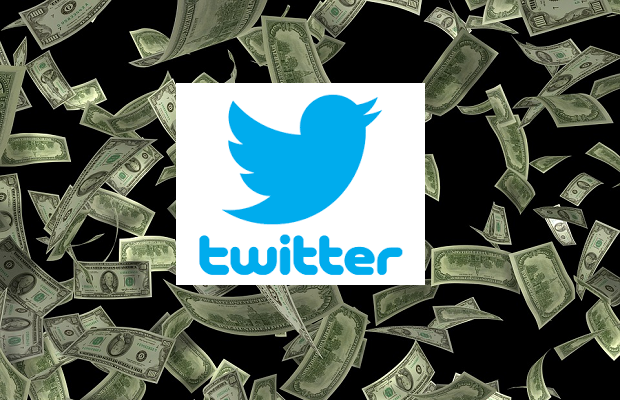 “With an increase in both total revenue and advertising revenue in Q4, Twitter is definitely on the right path to regain commitment from marketers. Twitter continues to prove they are a worthwhile investment by pushing the boundaries and adding new features to increase their user base. The introduction of 280-character tweet and the launch of ‘threads’ last quarter has generated positive feedback and offered marketers a larger creative canvas when developing their message. In addition, Twitter’s focus on improving its live video feature is expected to drive higher user engagement. “Slowed user growth remains a concern when it comes to Twitter, however, live video will be a critical investment for Twitter as content formats and ways to engage with audiences continues to evolve. Twitter has Live video from the Periscope acquisition and now would be the right time to ramp up the Live content format given the reach and engagement brands are seeing from it on other platforms. Twitter is clearly trying to make story-telling easier by allowing even more context to its algorithms to make them smarter when it comes to serving ads, with the addition of live formats to its features. This should ultimately help continue to differentiate the platform, drive user engagement and increase the user base.